Would you like a hands-on private cooking class for you and your sweetheart, or maybe for a girls’ night out. Join Beechwood Inn chefs in our modern commercial kitchen and prepare a variety of gourmet meals including ethnic dishes from around the world. 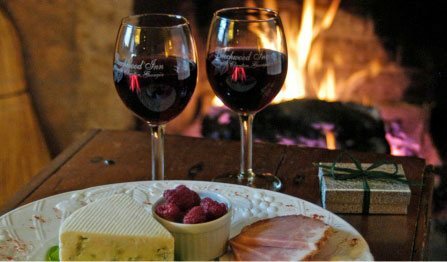 The Beechwood Inn has many awards and is a Wine Spectator Award of excellence restaurant. The Inn also features a 3,000 bottle wine cellar. Each class includes wine, a serving of each dish, an apron to keep and a complete recipe collection from that class. 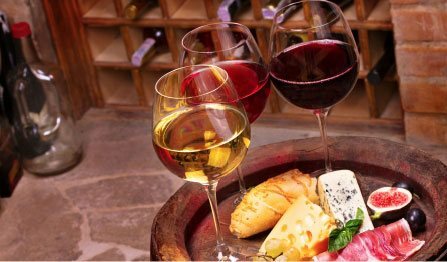 Students receive a 10% discount on wine or food product purchases made the day of the class and a 10% discount off their next culinary class at the Beechwood Inn. Classes can be tailored to your preferences. These are about 3 hours long and usually run from 2:30PM to 5:30PM, followed by a short break and then dinner – but the actual length depends on the menu you pick. 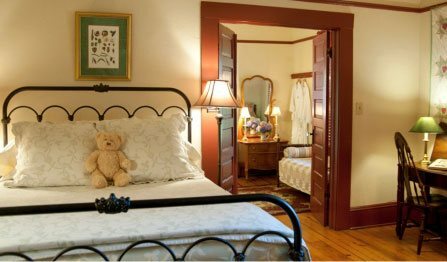 What’s Included: Prices start at $165.00 per person if you are staying at Beechwood Inn (Based on choice of menu items), plus tax; $175 per person for non-lodging guests. You get copies of all the recipes, sources for ingredients, and dinner with wine pairings. For the multi-course cooking classes we charge a 20% gratuity in addition to the class to facilitate private table service of your dinner creation. Please let us know in advance of any dietary restrictions. Tuscan/Italian Cuisine: Learn the essence of Italian cuisine including how to prepare authentic sauces, homemade pastas and gnocchi’s’, pestos, duck confit, veal, and wonderful desserts such as chocolate amaretto caramel budino. Provence/France: Instruction of classis French recipes which form the basis of France’s worldwide culinary reputation in the heart of the French Provencal countryside – replicated in Beechwood Inn’s Professional Kitchen. 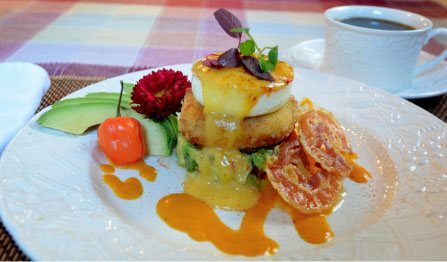 Santa Fe, New Mexico Cuisine: We love to go to Santa Fe because the fusion of Native American, Latin America, Spain and the Southwest play sucha vital role in defining the flavors of the foods. Dishes include: salsas, moles, relishes, tortillas, empanadas, ceviches, smoked and dried peppers, chicken, cabrito, flans. To check availability and register for classes, please call (706) 782-5485. The day of your Class: Please arrive at least 15 minutes before class time. Wear comfortable closed toe shoes. Our chefs reserve the right to make menu/ingredient substitutions based on what might be fresh and locally available. Cancellation Policy: Prepayment is required to reserve a class space. Students who cancel their reservations 7 days prior to the scheduled class will receive a full refund, less a small processing fee. No-shows and cancellations made less than 7 days before the class will not receive a refund unless we can refill the slot. If you have questions about the cancellation policy or need to cancel a reservation, please contact the Inn at (706) 782-5485. Cancellations cannot be made by email.